Designed by a professional barista to tamp down espresso, Terry's Tamper from RSVP is the perfect coffee tool. 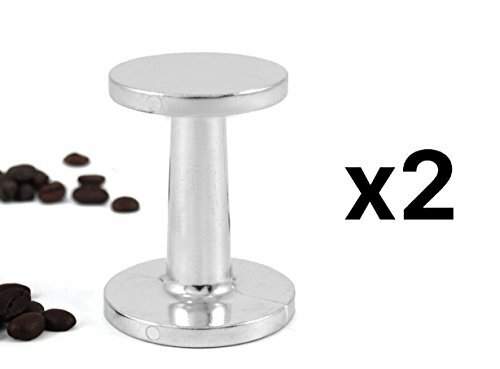 Made of heavy cast alloy, this set of two tampers are durable for long lasting use. Terry's tamper tamps down espresso perfectly with every use. They are also dishwasher safe for easy clean up. If you have any questions about this product by RSVP, contact us by completing and submitting the form below. If you are looking for a specif part number, please include it with your message.